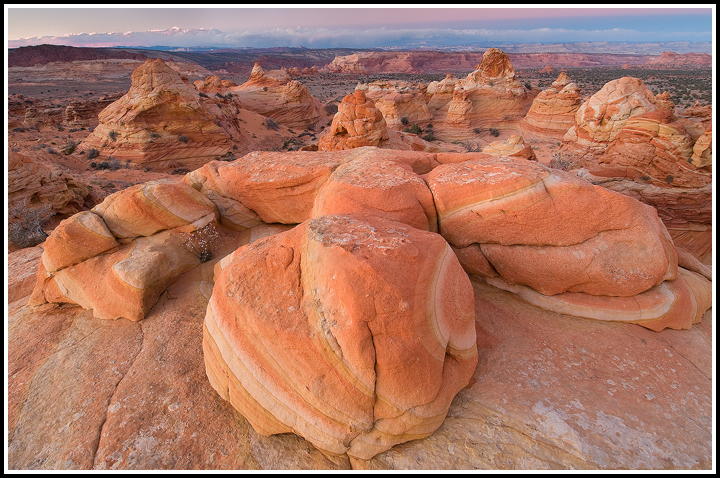 I’ve spent the last few days shooting at Coyote Buttes North, South, and the White Pocket. It was AWESOME. Such a cool part of the desert. The geography there is just ridiculous. I’m amazed by what erosion can do to sandstone. I can’t wait to get back out there next time I’m in the area! I’m headed out to Valley of Fire State Park, Nevada today, and then I’m off to Death Valley for a few days! I hadn’t anticipated making it that far west, but I shaved a few days off my itinerary for other locations, and made it fit. 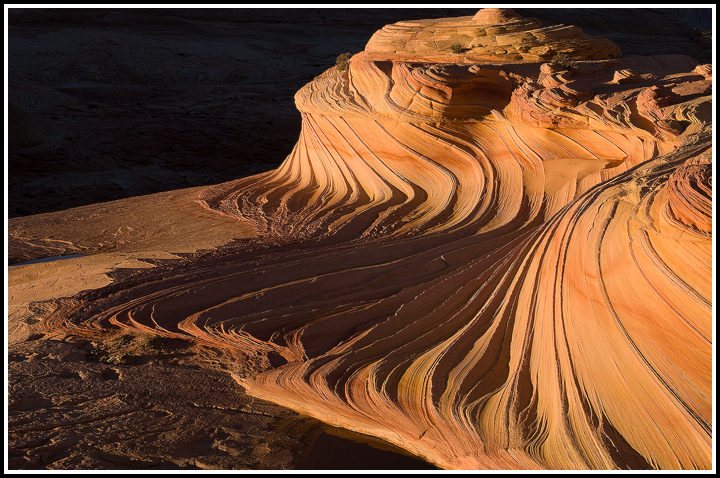 This first image is from Coyote Buttes South. I climbed up towards the top of a formation, and found these rocks to use as a foreground. 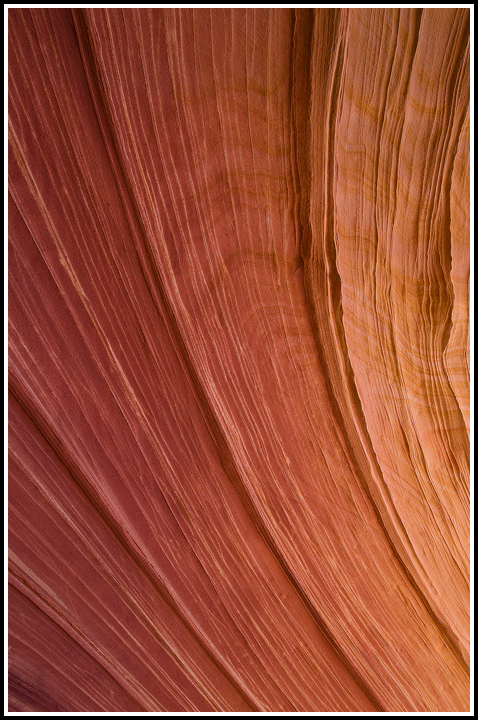 Finally, this one was from the actual “wave.” The light was less than ideal, so I focused on photographing smaller sections of the formation. I shot this abstract in Benbush, West Virginia. 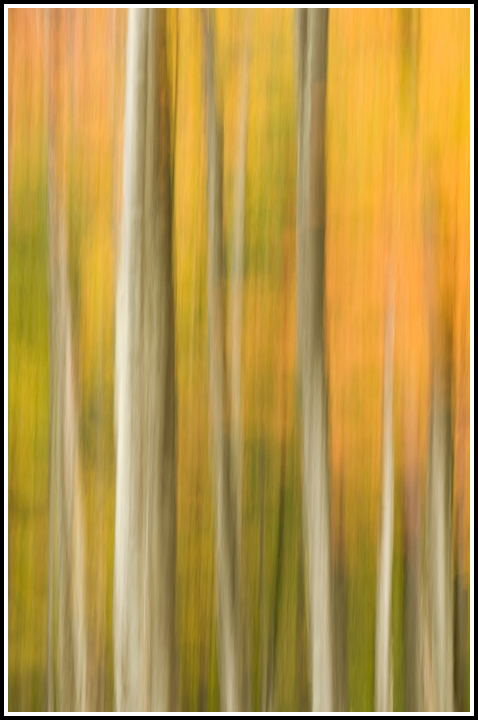 I lined up a composition including an attractive group of tree trunks and panned downward during a 0.5 second exposure. This was the only shot out of 25 that came out nicely, in my opinion. On a different note, Go Redskins!